Fortunately, drones (also known as unmanned aerial vehicles [UAVs], or unmanned aerial systems [UASs]) can serve as robotic avian minions, filling niches for which the conventional methods of aerial data collection — like chartering planes or tapping into satellite data — are poorly suited. Drones are not new, nor are climate scientists only now discovering their utility as research tools. 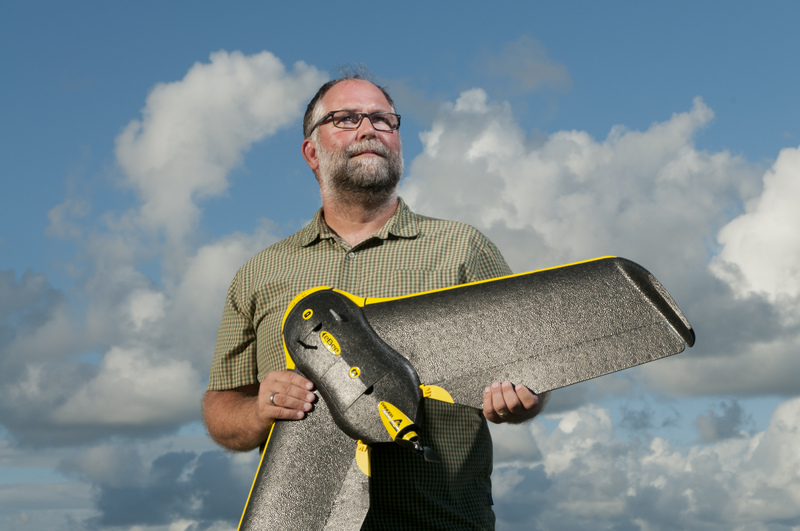 “Back in 1998, we used what was considered a smaller UAV at that time” for studying ice cover in the Arctic, says James Maslanik, a research professor emeritus from the aerospace engineering sciences department at the University of Colorado-Boulder. “It was a cutting-edge system, it was way ahead of its time,” he says of the fixed-wing UAV they employed. It had a three-meter wingspan, a four-kilogram payload limit, and was gas-powered. Maslanik recalls having to drag 50-gallon drums of aviation fuel up to their research station in the Arctic just to get the UAV in the air.